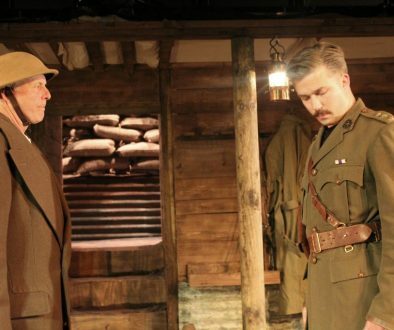 Journey’s End by RC Sherriff – Theatre Reviva! R. C. Sherriff was born on 6th June 1896 in Hampton Wick. 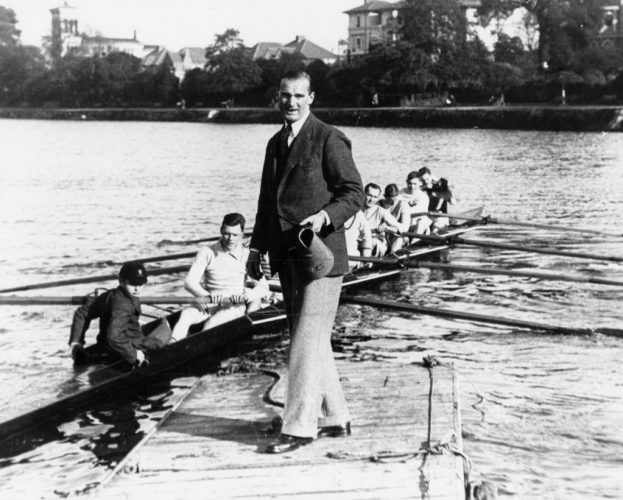 He was educated at Kingston Grammar School from 1905-1913 and considered going up to Oxford but decided he could not afford to, and instead began employment at the Sun Insurance Company, where his father and grandfather had worked. At the outbreak of war, Sherriff volunteered to be an officer, but was turned down and returned to his job. 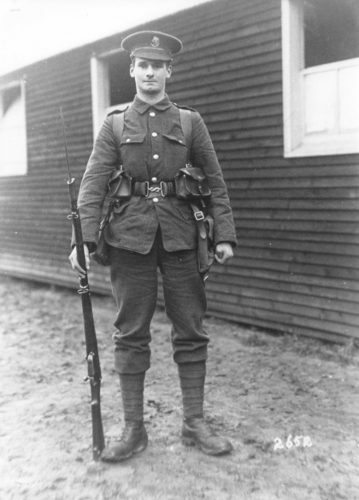 He tried again in November 1915 and was successful with the Artists Rifles Regiment (in which Wilfred Owen also served), and in September 1916 was commissioned into The East Surrey Regiment. He finally arrived on the Western Front to join the 9th Battalion in early October, serving in the Vimy Ridge and Messines areas. On 27th January 1917, he was wounded at Bracquemont, and spent two weeks at an Ambulance Dressing Station before returning to his unit. Later that year he moved up to the Passchendaele area to take part in the initial offensive, which took place on terrain resembling a sea of glutinous mud, due to the wettest summer on record. He later recalled the events of the 31st July 1917 in his book ‘No Leading Lady’. At dawn, he assembled his platoon and went through the usual inspection, noting how grey, drawn and haggard his men looked, twisting their shoulders and torsos in an attempt to get some respite from the lice that filled their filthy clothing. Looking out over the barren landscape ahead, he briefly considered the benefits of being wounded in the attack before reality kicked in to tell him that there would be no way off the battlefield in such foul conditions. As he advanced with his men on August 2nd, a shell exploded on a concrete bunker beside him with a deafening and stupefying crash, showering him with debris. He put his hand to his bloody face and as he could feel nothing, concluded much of his face must have been blown away. It was indeed the wound he had thought about, and his time in battle was over. After a spell at the Casualty Clearing Station at Abele, he was taken back to 14 Base Hospital at Wimereux where no less than 52 pieces of concrete were extracted from his body. Transferred to a hospital at Netley in Hampshire, he remained there until November when he was posted to a Home Service battalion of the regiment where he served until discharged in March 1919. 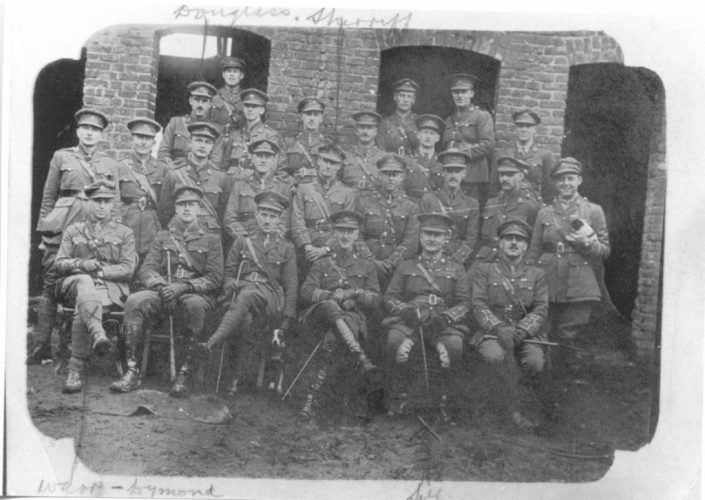 At a time when the life expectancy of a junior officer was six weeks, Sherriff had lasted ten months and had participated in some of the heaviest fighting in key areas of the Western Front. He was awarded the Military Cross for gallantry.